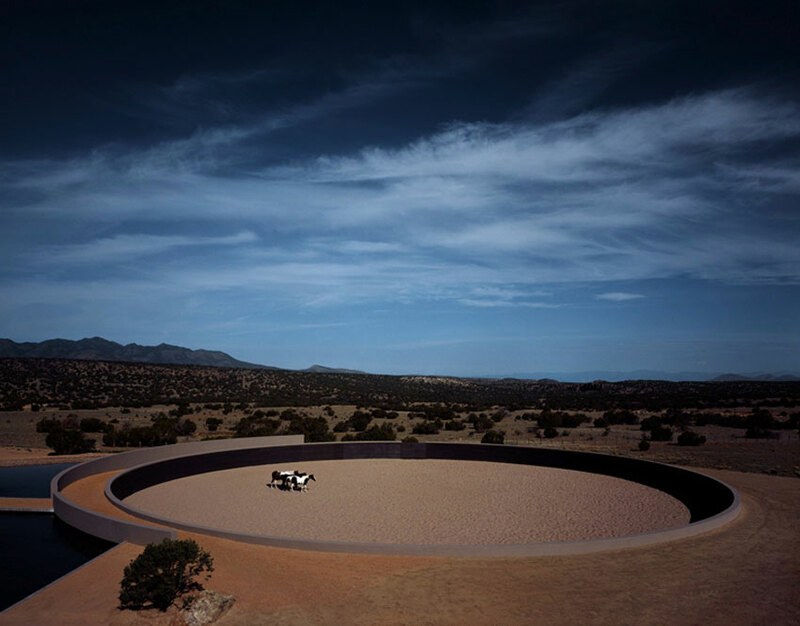 Tom Ford’s Ranch by japanese Architect Tadao Ando’s has a serene Japanese aesthetic that blends surprisingly well with the 24,000 acre ranch arid terrain of Santa Fe, USA. 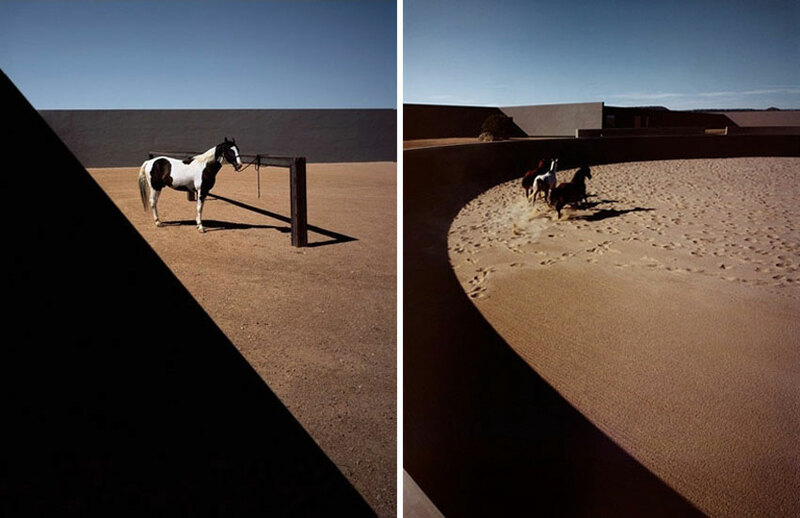 This ranch, designed by the Pritzker award-winning architect for the famous fashion designer, provides a fully equipped equine facility and stunning expansive views. 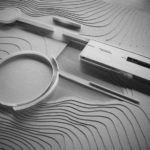 This project was designed with local management and oversight by the LA-based design build firm Marmol-Radziner & Associates. 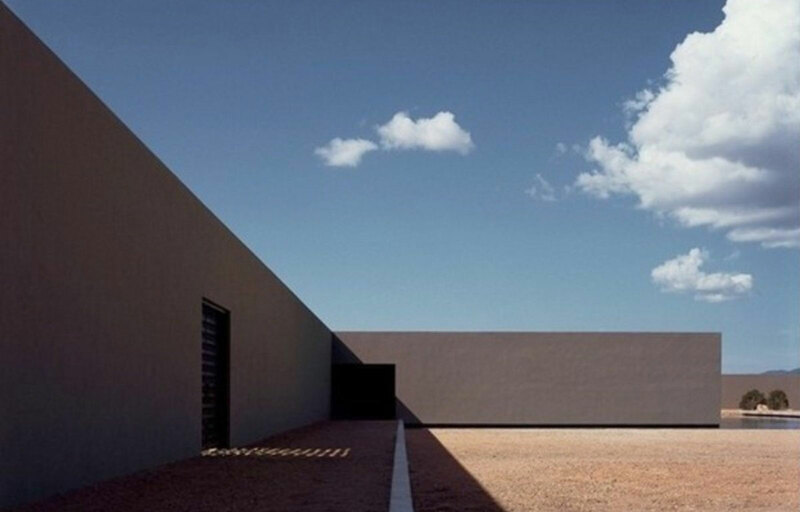 Dwelling in a house is not only a functional issue, but also a spiritual one. 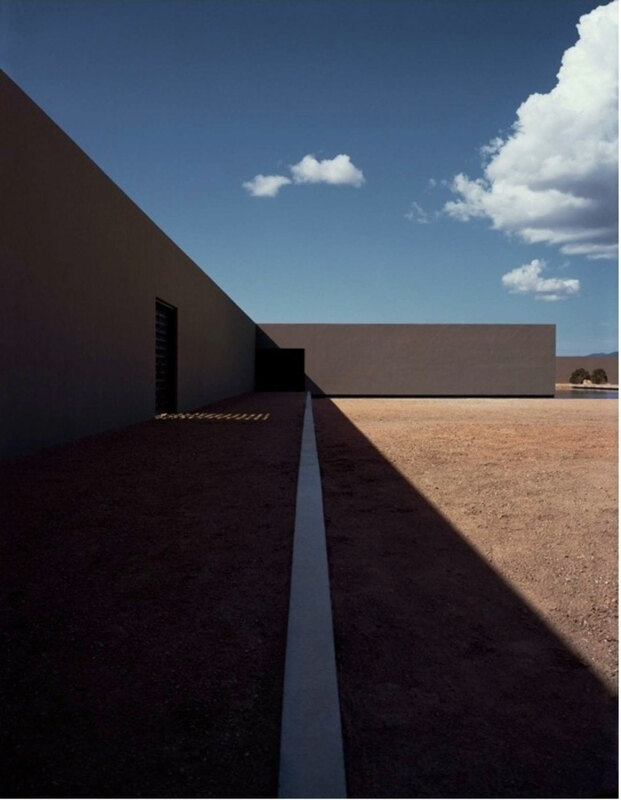 Tom Ford, who had in his youth also studied architecture, commissioned a project, fifteen years ago, to Alberto Campo Baeza, but it was not approved by the authorities of New Mexico. 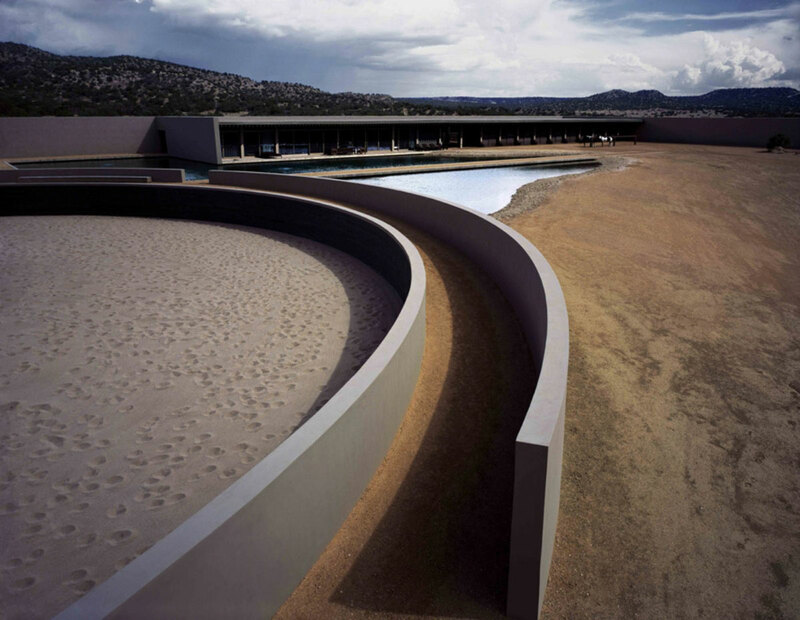 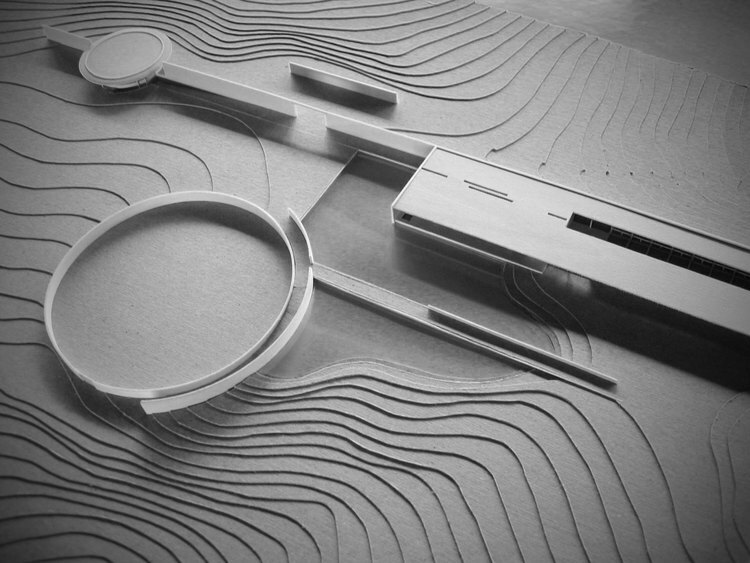 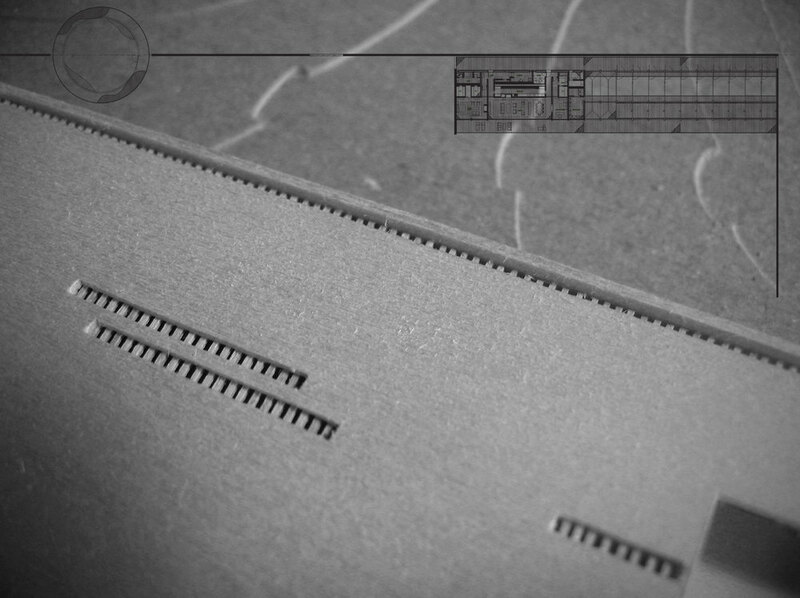 Finally Ford again took up the idea of a ranch, this time commissioning Tadao Ando. 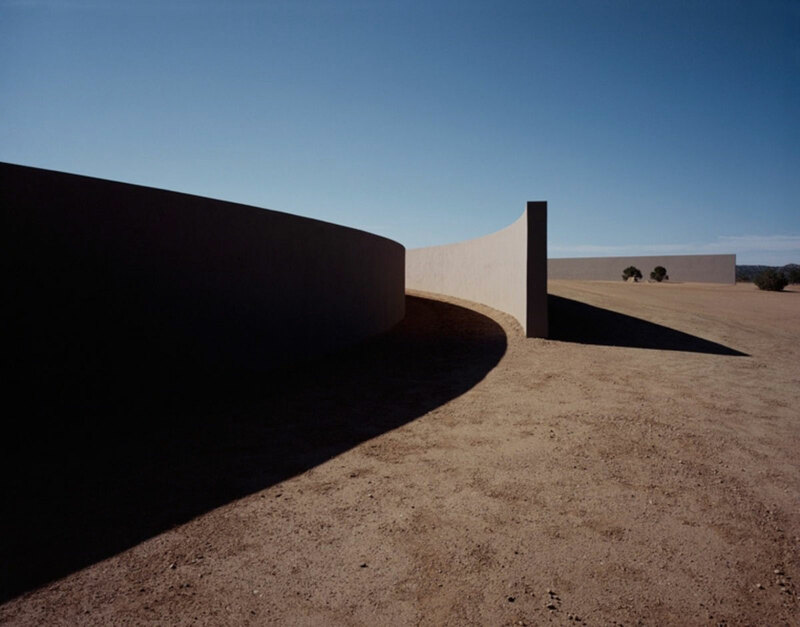 Introducing bold geometry and his stoic signature concrete walls into the New Mexico landscape, Ando envelopes and highlights portions of barren land and turns them into monumental ‘scapes of form and light. 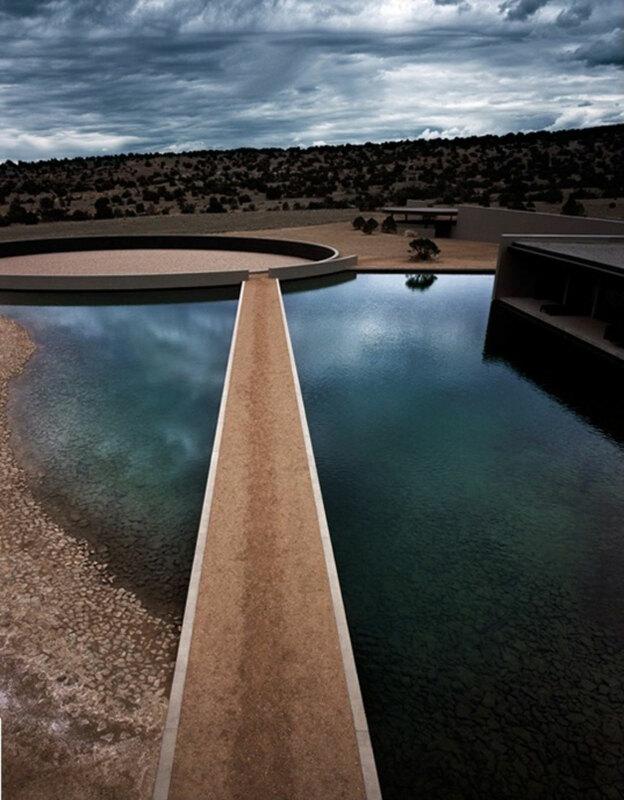 The rustic color palette of the surrounding landscape permeates into the complex, filling the space with burnt tones of the soil and the heavy blues of the sky and water. 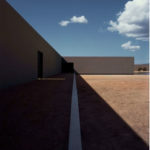 Add Ando’s skillful control of circulation to the mix, and you essentially have a sprawling chapel in the desert. 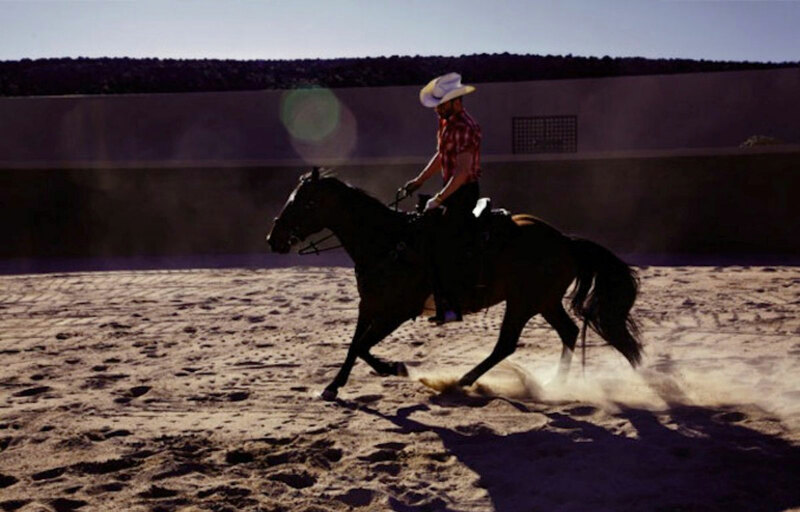 If you spend time on our ranch or in the American West or anywhere in nature, all of a sudden, all the things you worry about all the time fade away. 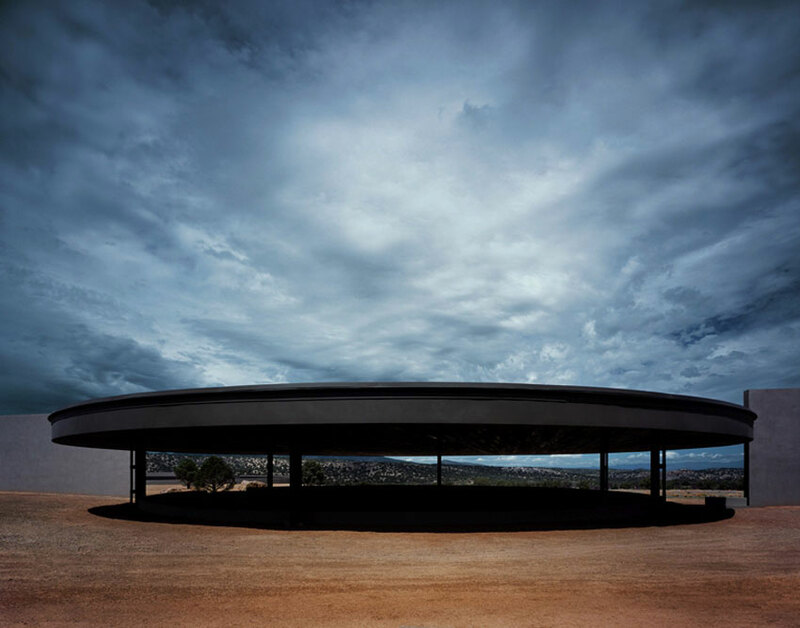 That’s why one of the greatest problems with where we are culturally at this time is that we’ve all lost touch with the earth and that which is really important in the world. 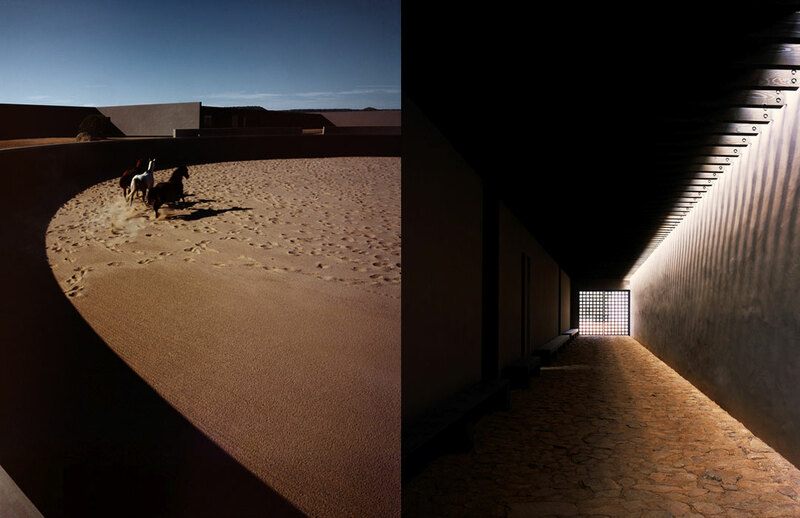 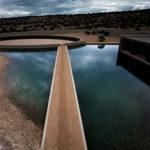 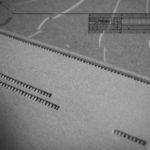 Cite this article: "Tom Ford’s Horse Ranch / Tadao Ando," in ArchEyes, February 4, 2016, http://archeyes.com/tom-fords-horse-ranch-tadao-ando/.